“She has the voice: bruised, smoky and ornery, right at home where country and soul meet. New York, NY (April 4, 2017) – Shannon McNally’s blues-Americana return, Black Irish will make you dance, break your heart, and save your soul. The album was recorded in Nashville, but its distinctive sense of place lies 210 miles west, where Memphis meets Mississippi. 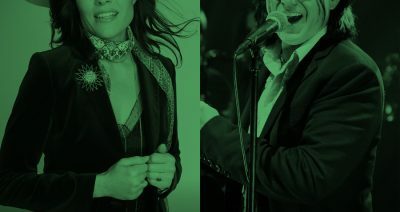 The primary colors of American music are black and white, and Black Irish displays that hybrid in many shades, mixing country, blues, soul, rock, folk balladry and classic pop. 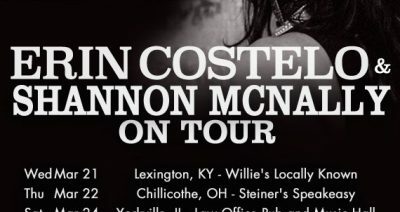 Shannon McNally will release Black Irish on June 9 via Compass Records. Pre-order Black Irish at iTunes HERE. 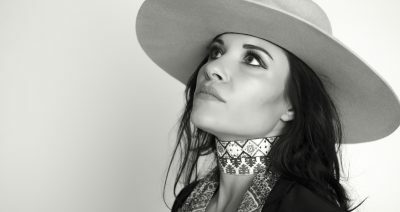 The initial release from the album is “Banshee Moan”, a track McNally wrote about her experiences in the music industry, experiences common to working women everywhere. “I wrote that a ways back, previous to the rebirth of the women’s movement we’ve seen of late. I’m thrilled to see women truly engaged and pissed off again.” With its haunting melody and McNally’s rich, deep-blue vocals, “Banshee Moan” is no mere protest song; it’s a howl of the collective female spirit, equal parts softness and strength. The concept for Black Irish began in 2013, as Shannon was going through what she calls “a miserable divorce,” raising her daughter Maeve, and nursing her terminally ill mother Maureen. Her parents had relocated to Holly Springs, Mississippi, and McNally moved in, caring for her mom until her death in 2015.“I had no vim or vigor in me for a couple of years,” she admits. What saved her was her email relationship with Crowell, who’d been talking about producing her since 2012. “We started this really wonderful thing of just lobbing song titles back and forth. And I just sat at a table and learned about a dozen tunes, my favorite covers, anything to spark a fire in this really dark turn.”She co-wrote three of the album’s 12 songs – one with producer Crowell, who also penned two more for her; the rest include personal favorites by Stevie Wonder (“I Ain’t Gonna Stand For It”), Robbie Robertson (“It Makes No Difference”), and J.J. Cale (“Low Rider”). The result is an album that stands with the best of classic vocal interpreters like Linda Ronstadt, Bonnie Raitt, Emmylou Harris and Maria Muldaur.When it came time to record, McNally enlisted her friend, Memphis soul-gospel powerhouse Wendy Moten on background vocals, while Crowell called in some of Music City’s finest, including guitarists Colin Linden and Audley Freed, bassists Michael Rhodes and David Santos, and drummer Jerry Roe.For those familiar with Levon Helm’s ramshackle take on Muddy Waters’ “The Stuff You Got to Watch”, McNally’s smoothly swinging rockabilly/ jump blues will be a revelation. It’s her tribute to Muddy. “I love how classy he was, how sharp-dressed and handsome, with his pompadour and his gold and his perfect suit.”To McNally, the late Susanna Clark’s song about Townes Van Zandt, “Black Haired Boy” (with Emmylou and Elizabeth Cook singing harmony) is a bookend to “Prayer in Open D”, the two most “singer-songwriter” tracks, both featuring Crowell’s fingerpicking.McNally and company close Black Irish with the joyous, roof-raising Delta gospel of The Staple Singers’ “Let’s Go Home”.